Without a doubt, a mini food processor is a handy piece of equipment to have in your kitchen. 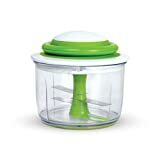 Food prep becomes a breeze as the little wonder whirs away whole ingredients and delivers perfectly pureed results. Once you choose the best mini food processor to fit your kitchen needs, you will never want to be without one. Not only is their versatility impressive, but they are also discreet when it comes to storage. Now, all those things that made you shun the thought of cooking a delicious meal because of the food prep involved no longer matter. 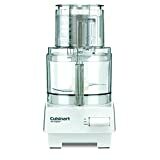 The market is now flooded with many food processor brands, including Cuisinart, the direct descendant of the original food processor, and the Robot Coupe by French salesman Pierre Verdon. With time, other kitchen appliances like the blender and mixer have entered the fray and convoluted the specific functions of each of them. You can blend with your food processor as well as your blender. So what plays which role? What is the role of a food processor? What should you look for in a mini food processor? How important is motor power in a mini food processor? Are manual food processors a good option? Let's take a look at the specific role a mini food processor will serve in your kitchen. A food processor is ideal for shredding, chopping, and finely grating vegetables into a smoother consistency than you would achieve by hand. A blender obliterates ingredients like fruits and vegetables, creating a fluid-like consistency. A mixer is primarily for integrating baking ingredients into each other and is not meant to cut veggies or blend smoothies. The best mini food processor should be able to meet your food prep needs. You should consider the size of the chopper bowl, typically ranging from two to five cups, the motor power, and of course safety features such a non-slip base and the presence of a feeder tube. When it comes to the brand, it is better to go with a reputable one where the products have a warranty. A powerful motor between 400 to 600 watts on a mini food processor will generally provide more than sufficient blade rotation power to dice even the hardest of veggies or crush ice cubes to slush. Ideally, the motor mechanism should produce minimal noise. Most food processors will tend to have a high and low motor setting that allows you to adjust the motor's power accordingly to suit food processing needs. However, some mini processors will have motor power as low as 200 watts. These can work great if your food prep is minimal. They are a great option -- especially if electricity is scant. These are the best mini food processors for outdoor activities like camping or in the case of RV homes or homes with smaller kitchens. The workings of such processors are simple, but they efficiently cut veggies, fruits, and even boneless meat with ease. Just close the lid and yank the cord several times to get the blades rotating and chopping the ingredients. When you buy a mini food processor, the material used for construction should be BPA-free. BPA stands for an industrial chemical known as Bisphenol A that is used in making polycarbonate plastics and resins. Research is still ongoing on the effects of BPA on health, but most companies that deal with plastics that are used daily refrain from using it in their products. The FDA findings are that BPA is safe at the current levels present in foods. However, to be on the safe side, you may want to use BPA-free mini food processors. That is an important consideration when choosing the best mini food processor. 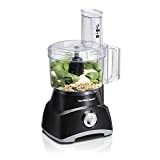 Standard features found on the best mini food processor include a powerful motor, a two to eight cup chopper bowl, stainless steel or ceramic blades, high and low power motor settings, multi-tasking options, BPA-free plastic, and a warranty. 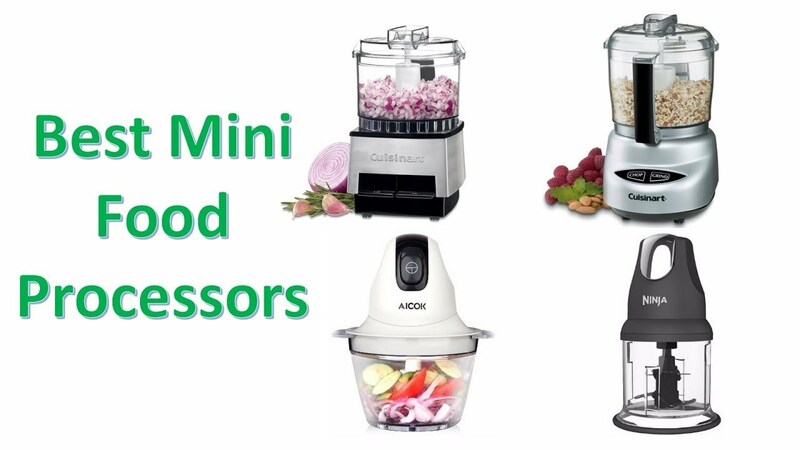 The price of the best mini food processor will vary from one manufacturer to another depending on design, quality of construction, and materials used, as well as the power of the motor. Also, the mini food processor's ability to multi-task and its efficiency in performance impact the price. The general price range you can expect on some of the best mini food processors will be between $$ and $$$. The construction, aesthetics, and performance were the key areas we looked at in this review. That includes the appliance’s ability to multi-task and the actual tasks it can perform. We also looked at the ease of use and the motor power as well as safety features. Aside from product specifications, we also consulted customer reviews to gain insight into how satisfied customers are with their purchase. With so many offerings on the market, finding the best mini food processor can be time-consuming and even confusing. Here are the best eight to choose from. The design of this appliance adds character to any kitchen counter. It comes with two chopper bowls: two cups (16 ounces) and six cups (48 ounces). 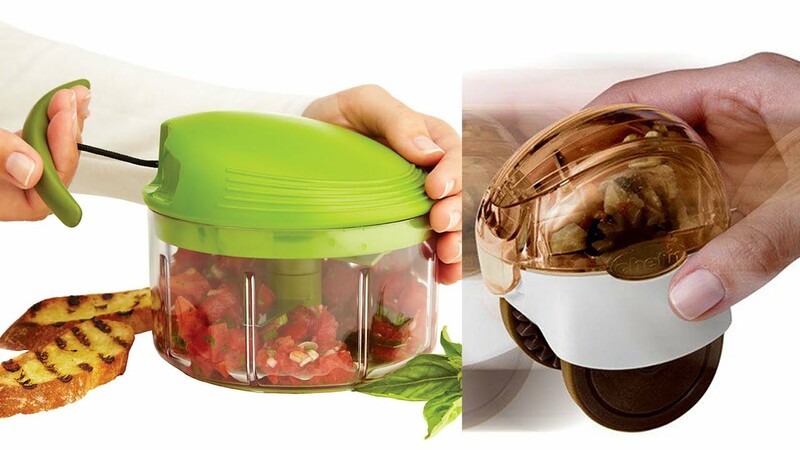 The chopper bowl has a chute for safety as you drop ingredients in it. The Ninja Master Prep qualifies as the best mini food processor for many users because it can be used for food prep whether you are entertaining or just family. It has a 400-watt motor, which provides sufficient power and works in tandem with stacked stainless steel blades to efficiently prepare ingredients. The blades are rust-proof and super sharp. It can work on ice cubes and frozen fruit in addition to regular vegetables. It is easy to use, as the pod contains only one pulse button for control, giving you consistent results every time. This product won a Housewares Design Award, making it indeed one of the best mini food processors. Consumers rate it at 4.5 out of 5 stars on Amazon. It is also available at Walmart. The average price ranges from $$ to $$. Small food preparations are made easier by this appliance due to its remarkable ability to chop, slice, and dice various types of food. It works efficiently on hard veggies and also grinds cheese to the consistency you want. The operation is pretty smooth and fairly silent as the 250-watt motor spins stainless steel blades, pureeing ingredients to a smooth consistency. The overall construction is squat, with plenty of plastic parts, and it is very sturdy. The unit comes with one 24-ounce (or 3-cup) processing work bowl. There are only two touch control buttons: chop and grind. You will find this appliance very easy to use. It is small enough to store away discreetly, and it doesn’t take up much room on the counter top. It comes in different color variations, including white and black, and also includes a recipe book for good measure. This appliance has a consumer rating of 4.0 out of 5.0 stars on Amazon. 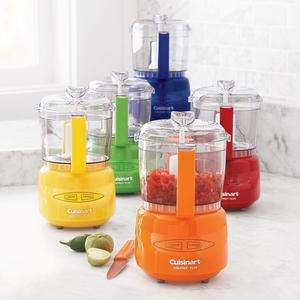 It is also available at Walmart and the Cuisinart website. The price ranges from $$ to $4 depending on which vendor you purchase from. The simplicity of this manually driven food processor is its biggest selling point. You'd think that you would be breaking a sweat cutting boneless meat, grinding nuts, chopping veggies, or even crushing ice manually. Not with this manual mini food processor. As with other manual options, once you have your ingredients in the chopping bowl and you have safely locked the lid, all you have to do is pull the cord, and the blades will go to work. It comes in two color variations: red and green. The blades are extra sharp to ensure you do not expend a lot of energy processing your ingredients. If your area is prone to frequent blackouts, or you are living off the grid, this manual appliance is ideal. The Amazon consumer rating on this item is 4.5 out of 5.0 stars. Depending on where you buy it the price ranges from $20 to $30. You can also buy it from Chefn.com. The design of this appliance is quite unconventional, but the results are pleasant. It is also easy to assemble and disassemble as required. The transparent chopping bowl allows you to see all the chopping action. It is very easy to use and requires little manual effort. You simply push down the plunger at the top of the unit and this action will rotate the stainless steel blades. The more you push the plunger, the finer the cut of ingredients in the chopping bowl. It will cut anything from cooked meat to veggies or nuts. The plunger has a soft top, so the impact on your hand is comfortable when you push down. This manual mini food processor is surprisingly effective despite its simplicity, and it is rated at 4.5 out of 5.0 stars by consumers on Amazon. Pampered Chef also stocks it. It has a price range of between $$ and $$ depending on which vendor you purchase from. This offering has a superb compact design that not only looks good on your kitchen counter but also occupies little space. It is easy to use because the three-cup transparent prep bowl locks into place with a simple twist. The blades of this mini food processor are stainless steel and are reversible to allow chopping and grinding actions. It has high and low motor speeds. Small and compact, it goes anywhere on the kitchen counter. Consumers rate this product at 4.0 out of 5.0 stars on Amazon. The price ranges from $$ to $$ depending on which vendor you buy from. Although this mini food processor comes with only one bowl, the capacity of the chopper bowl more than makes up for that. It can take in eight cups at once. The blades and shredding disc are stainless steel and can shred, chop, slice, and puree veggies and cheese with quick efficiency. It has a powerful 450-watt motor and is equipped with an easy-to-use two pulse knob to control motor speed. The design is a stable black base that sits low and houses the motor. The chopper bowl is transparent with a feeder tube that can fit a whole block of cheese. Consumers loved the efficiency of this mini food processor and rated it at 4.0 out of 5.0 stars on Amazon. Alternatively, you can get it from Walmart. The price ranges from $$ to $$. The Ninja food chopper design is sleek and compact, occupying little space on the kitchen counter, while still maintaining a good look. These are two traits the best mini food processor of 2019 should definitely have. The two cup chopper bowl comes with stainless stack designed steel blades for cutting and chopping. It has a 200-watt motor and a two pulse speed. However, you can only work with limited ingredients. Consumers love this little power horse, and their rating for this product stands at 4.5 out of 5.0 stars on Amazon. You can also buy it from Walmart. The price ranges from $$ to $$. The design is good looking and compact, occupying minimal space on a kitchen counter or in a drawer. It also packs an exclusive exact slice system to make sure your salads presentations are special. It just takes a slide of the lever, and it produces thick to thin slices of fruit or veggies. The usage is very simple and includes a high and low motor pulse for control. The seven-cup chopping chamber is designed with two feeder tubes of different diameters so you can choose which one to use for smaller and larger ingredients. It prevents spills and splashes as the chopping chamber is sealed with tight rings. It also has a specially designed locking system so that there are no leaks. Consumers rate it at 4.0 out of 5.0 stars on Amazon. Alternatively, you can purchase it from Kitchenaid's website. The price ranges from $$ to $$$ depending on which vendor you buy from. The Hamilton Beach 8-Cup Food Processor with Compact Storage takes the day as the best mini food processor on our list because of its powerful 450-watt motor and excellent performance. Although the motor power cannot be the sole determinant, it does play a huge role in the performance and efficiency of the blade actions. This becomes evident when you pit the Hamilton Beach against the 200-watt Ninja Express, 250-watt Cuisinart Mini-Prep, or the manual mini food processor options. However, this is not to say that they do not have their benefits. It offers the best value for money in the mini food processor category because of motor strength as well a chopper bowl capacity of eight cups with a feeder tube for safety. That’s in addition to a compact design that takes up little space on your counter. It is definitely the best mini food processor of 2019. Do you own any of the items on this list, or think we missed a product? Let us know in a comment!